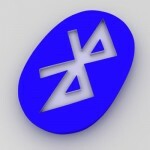 If you have ever used Bluetooth in KDE SC, you probably know how messed up KBluetooth is. It simply does not work. And it is almost dead too. System preference module (KCM) to configure all the options. What I have seen in his review already has me excited. The RC will be released on August 4th and I will do a review myself when it is released. The Link mentioned above seems to be broken, you can visit http://afiestas.org and check the BlueDevil 1.0 Review post dated 28 July 2010.